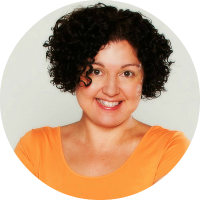 Deliciously healthy recipes and cooking inspiration from my small kitchen. 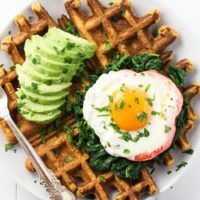 These healthy sweet potato waffles are very easy to make and can be served with sweet as well savory toppings. Sweet potatoes are a very nutritious vegetable high in vitamin A, vitamin C, and manganese, and are a good source of vitamin B6 and potassium. They are also high in fiber which makes them very filling. 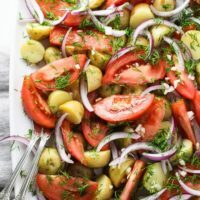 They are very inexpensive and keep well in the fridge for weeks. 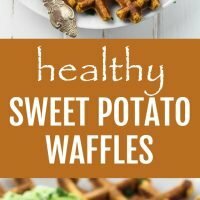 You can make these healthy sweet potato waffles using mashed sweet potatoes that you already have on hand, or you can quickly boil a sweet potato and then mash it with a fork. I prefer to serve these sweet potato waffles with savory toppings. 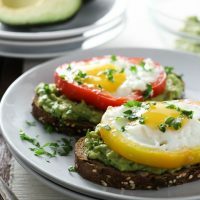 For example, on the picture, you see them topped with some blanched spinach, fried egg, avocado, and chopped parsley. 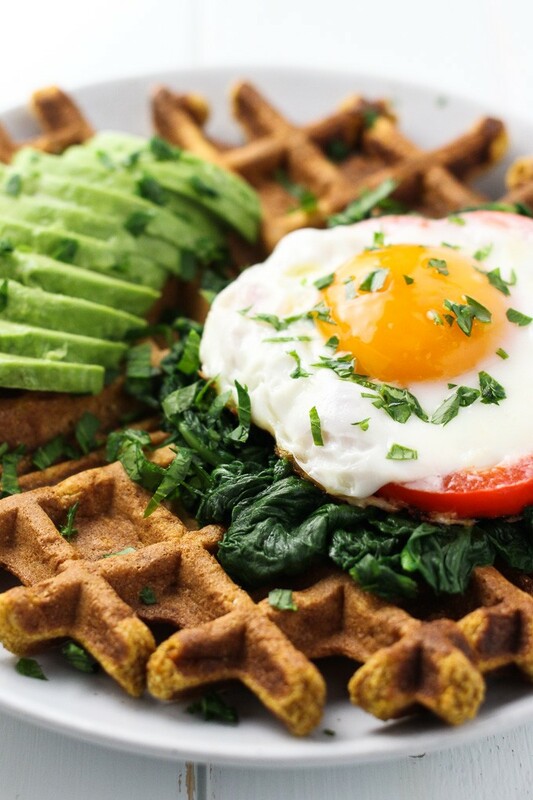 Serving sweet potato waffles with such toppings makes the meal more balanced by adding protein, fiber, and fat. 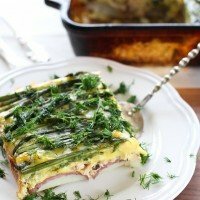 If you are looking for more savory breakfast ideas, try this Egg Avocado Toast, this Asparagus and Salmon Egg Bake, or these Baked Eggs with Beans and Veggies. 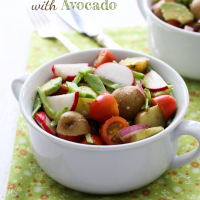 And for more creative sweet potato recipe ideas, check out my article on Vitamix blog. 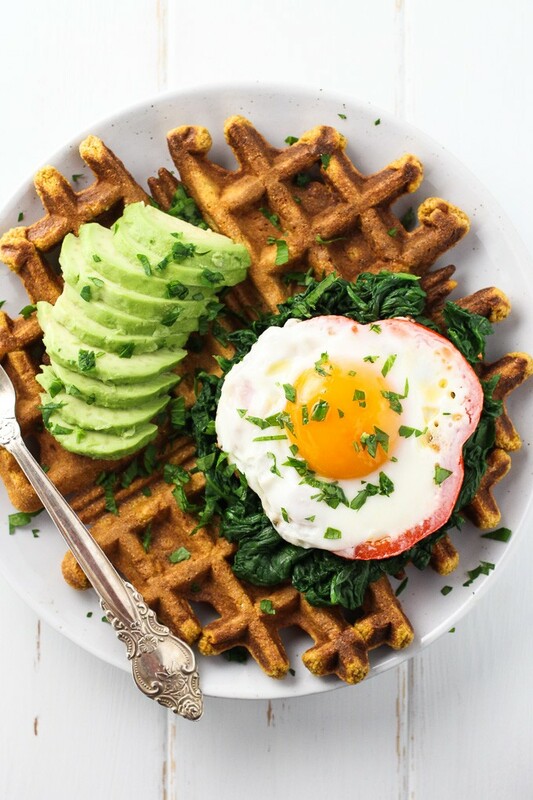 These sweet potato waffles are very easy to make and can be served with sweet as well as savory toppings. A great recipe for using leftover sweet potatoes. If you already have the sweet potato puree on hand, place it in a bowl and go to the step # 2. Otherwise, cut the sweet potato into three pieces. Place it in a saucepan. Add water making sure that the sweet potato is covered by about 1 inch of water. Bring to a boil and cook over medium heat until the sweet potato can be easily pierced with a knife. Alternatively, you can also steam or roast the sweet potato instead of boiling it. Let it cool. Once the sweet potato is cool enough to handle, peel it and place in a bowl. Using a fork, mash the sweet potato until smooth. Add the melted coconut oil to the sweet potato puree and mix. 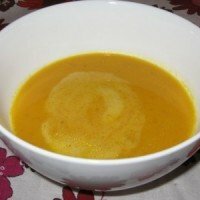 It helps when the sweet potato is slightly warm because if it’s too cold, the coconut oil might harden and it will be difficult to stir it. If this happens to you, just warm up the puree slightly in the microwave oven. Add the milk, eggs, and maple syrup and mix well to combine. In a separate bowl, add the whole spelt flour, baking soda, salt, and the spices. Mix to combine. Add the dry ingredients to the wet ingredients and stir until combined. Do not over mix. 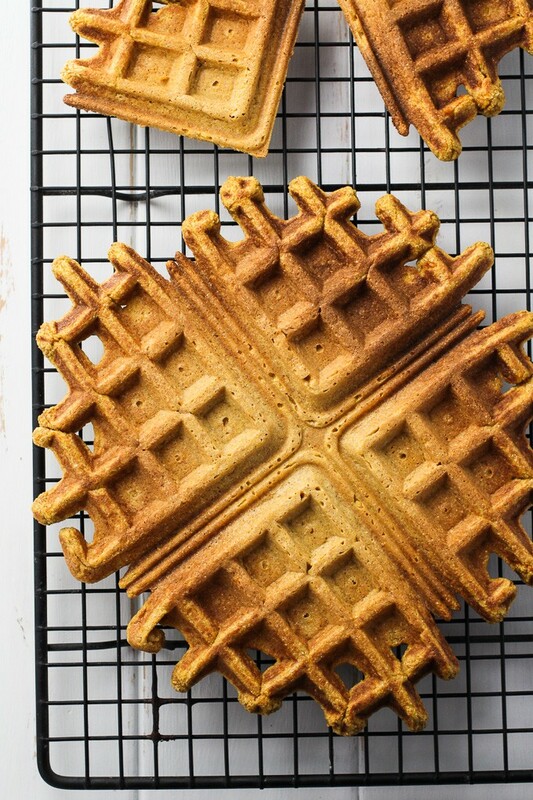 Let the batter stand for about 10 minutes and then follow the instructions of your waffle maker to make the waffles. Cool the waffles on a cookie rack. 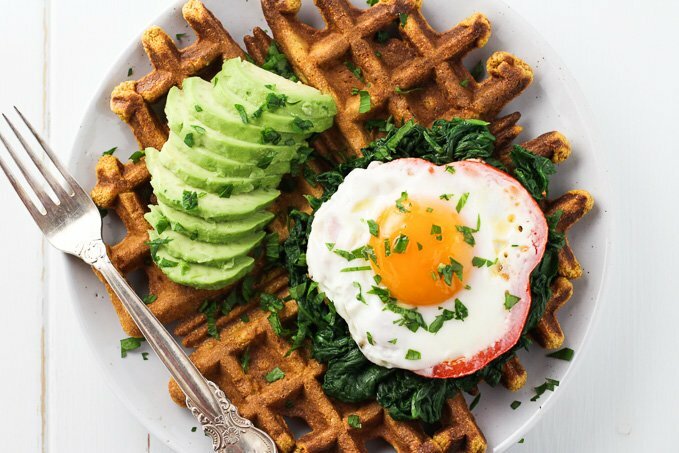 To serve the waffles as in the photo, place a waffle on a plate, spread spinach on one side of the waffle and place the fried or poached egg on top of the spinach. Place 1/2 of a sliced avocado on the other side of the waffle. 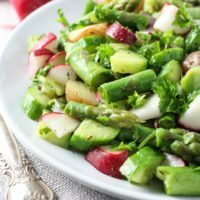 Sprinkle with chopped parsley and season with sea salt. Nutrition information is a rough estimate for 1 waffle without any toppings. Ohh it’s been too long since I’ve had breakfast for dinner. These waffles look super tasty, especially with that egg! 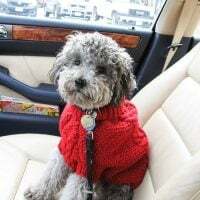 The owner of this website, Maria Ushakova, is a participant in the Amazon Services LLC Associates Program, an affiliate advertising program designed to provide a means for sites to earn advertising fees by advertising and linking MariaUshakova.com to Amazon properties including, but not limited to, amazon.com, endless.com, myhabit.com, smallparts.com, or amazonwireless.com.